If you ask an average person on the street if they like lima beans, I think they will mostly grimace. They are really only good if you have them fresh from the garden, otherwise they are too dry or flavorless. Limas are the epitome of midwest summer. If anyone on my father's side reads this, they will attest to strong, visceral memories of our grandmother growing these in her garden, and cooking them in a cream sauce with black pepper. 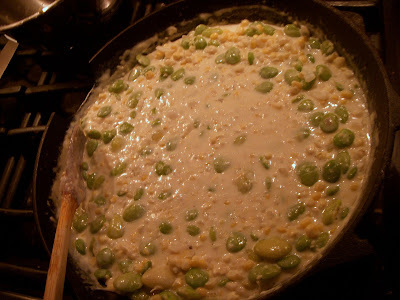 And I didn't know until a month ago that it is called succotash. Yeah I should have posted "NSFW"
I grew up spending my summers on a farm outside of Maysville, Kentucky. OMG, I remember the first time having this dish. I had been working all day bailing hay. There was fresh sweet tea and a table full of food. It might be more a Kentucky thing than an Ohio thing as my grandmother grew up in that area. I couldn't tell from the photo, did you cook it in a cast iron skillet?